Today we can’t imagine ourselves without iPhone, and iPhones are nothing without nifty apps installed! Still, the question is ‘how to pick the coolest apps for the lowest price (or even better – for free!)’. Hopefully, the following list of 8 eye-catching iPhone apps will work great. We have specially listed these apps for teen, because they are entertaining and creative at the same time. 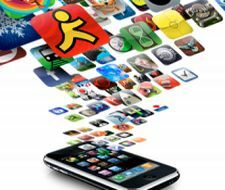 We hope you will like these apps, also do let us know which apps from the app market can specially be listed to teens. A good hipster needs to have the coolest apps. But if you’ve already spent your money on the iPhone itself, what are you to do? Pick up Bargain Bin, that’s what. Bargain Bin is a free app that tells you which apps are on sale. With Bargain Bin, building your library of apps is easy, both for you and your bank account. One of the first major decisions a rock band has to make is to pick a name, and it shouldn’t be taken lightly. Your band’s name reflects its essence, and a poor decision could break you up before your first gig. This app will help you come up with a sufficiently awesome name for your group. Rock on, Sleepy Homicide Kittens! You’re at a party, you’ve met this amazing girl, and a great song is playing. But for the life of you, you just don’t know what song it is. Later, when you want to show off playing the song that was playing when you met, you’re going to be out of luck, right? Wrong. Just pull out your iPhone and let Shazam solve your problems. Shazam will help you identify that song and figure out where you can get it. You’re trying to impress those hot girls at the party, and so you claim to have played the drums for some of their favorite bands. If you have Drummer, you can assuage your conscience with the knowledge that you’re not really lying. This app let’s you play virtual drums over your music, letting you add your own drum track to your favorite songs. Talent not included. You just texted her “Hey QT”, and now you’re waiting for her to respond. Guess what? She’s not going to. You should treat texts the same way you do in-person conversation, and each message should be unique, appropriate to the girl and the occasion. With How to Text a Girl, real girls will walk you through flirting, planning, and more via text message. You’re with a bunch of friends, you need to pick a restaurant, and nobody can decide on anything. You could stand around debating your options until everything closes except for IHOP and you are forced to eat overpriced pancakes, or you could download the Urbanspoon app. Urbanspoon will help you find you’re looking for. Just shake your iPhone and this app will give you dining options based on your location and their popularity. Once you have an iPhone, do you really need a dedicated eReader? Amazon would have you think so, but thanks to Stanza, that’s not really necessary. Stanza gives you access to a massive selection of books and magazines, which are all easy to read on your iPhone (cool feature: you turn the page with a flick of your finger). You are in Paris, and you’d like to go sightseeing. You could 1) pay a random French guy too much money to show you the sights, or 2) download Near+Now. Near+Now uses your current location and lists all the restaurants, clubs, bars and other destinations in your vicinity. You can rate the places you visit, and Near+Now will use those ratings to offer suggestions of its own. Post written by Amanda Martin, active blogger who covers such topics as smartphone apps, mobile tracking and blogging. Works as a marketing manager at mspy.com and loves catch the newest trends in mobile technology field.